The latest Q3 2017 (calendar) results from Virgin Media (Liberty Global) reveal that the operator has expanded their UK cable network to cover another 147,000 premises during the quarter, while broadband subscribers have risen to total 5,080,100 (up by +51.8K in Q3 vs +30.9K in Q2 and +80.7K in Q1). 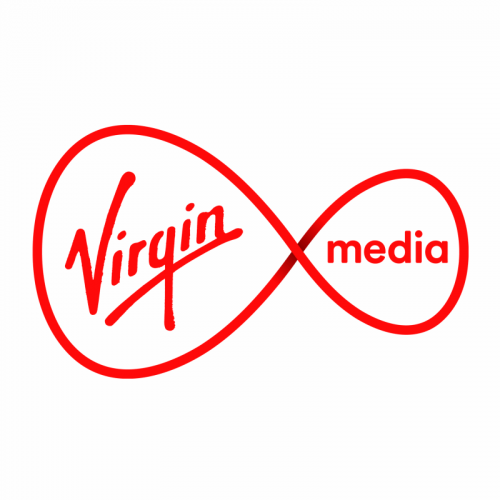 Overall Virgin Media has had a fairly quiet quarter, although ISPreview.co.uk did reveal news about a secret IPv6 staff trial (here); the full rollout could begin during H1 – 2018 but history tells us to remain sceptical. On top of that we also covered the operator’s new ‘Proof of Concept‘, which involves them working more closely with rural communities in order to expand the reach of their ultrafast broadband and TV network (here). Elsewhere VM’s Project Lighting network expansion, which hopes to reach an additional 4 million premises (2 million of those will be via FTTP) by the end of 2019 (this will raise their coverage from c.50% of the UK today to around 60-65%), delivered 147,000 new premises in Q3 (up from 127,000 in Q2 and 102,000 in Q1). The eagle-eyed will recall that Virgin had originally projected to reach “up to” 800,000 extra premises during 2017 (i.e. after three quarters they’re roughly halfway), which was before the recent problems (here and here), although the latest progress suggests that they’re still lagging behind. In total some 943,000 of the 4 million extra premises target have so far been completed. Through September 30, 2017, the aggregate inception-to-date property and equipment additions related to our Lightning Program in the U.K. (exclusive of the Republic of Ireland) are approximately £681 million. That spend includes an estimated £538 million that relates to the 857,000 premises that we have released during this period and £143 million that relates to premises under construction, including upfront spend on trunking from our core network to new neighborhoods, raw construction materials and planning costs related to future Lightning Program construction. We estimate that the inception-to-date cost per released premises in the U.K. through September 30, 2017 is approximately £630, which excludes incremental capital spend on our core network and customer premises equipment and any future costs to add a new Lightning Program premises that we have not connected due to a lack of wayleave approval and further construction required to release the premises (“wayleaved premises”). In addition to wayleaved premises under our Lightning Program in the U.K., we have identified numerous wayleaved premises that have not been connected and therefore not counted in our legacy network homes passed. The costs to connect any wayleaved premises generally is significantly less than our Lightning Program inception-to-date cost per premises given the upfront network planning and construction of the trunk-line has already been completed for these premises. Accordingly, the completion of construction and release of a wayleaved premises reduces our Lightning Program cost per premises, which will assist in keeping our capital spend in line. During 2017, we have experienced increased construction costs related to premises built on new trunk lines under our Lightning Program. Our total construction costs are influenced by a number of factors including the mix of premises constructed and connected, distance off the network and complexity of construction due to population density in the build. Overall, there can be no assurance that our new build costs will not increase further, however, we will only continue to extend our U.K. footprint through new construction to the extent we believe we can obtain attractive returns on our investments. Further, we will continue to focus on adding the numerous wayleaved premises in our legacy network to our footprint to ensure our capital is deployed in the most efficient way. We also have identified premises in our legacy network in the U.K. that were not properly reflected as connected premises in our database and have updated our homes disclosure accordingly. We do not include these premises in the statistics for our Lightning Program. Elsewhere Virgin reported that they had 2,975,500 Mobile customers (down from 2,995,600 in Q2) and 64% of their broadband subscriber base now takes speeds of 100Mbps+, while 17% of their UK video / TV base has adopted the new Virgin TV V6 (“V6”) set-top box since launch. We should also add that Virgin Media has 4,455,800 phone customers in the UK (usually taken with broadband and TV bundles). On the financial front the operator saw quarterly UK revenues of £1,143.2m (up from £1,122.4m at the same time last year) and their total capital expenditure for Q3 reached £114.4m (down from £136.6m last year). “Virgin Media continues to gain operating momentum with rebased OCF growth of 4% in Q3, which represents our best performance this year. We had another record quarter of Project Lightning construction, which now reaches nearly 1 million marketable homes. The initial response to our November 2017 price increase has been encouraging, with reduced NPS8 impact and fewer price related disconnects than a year ago. Sadly there has been no new update on Virgin Media’s effort to resolve the long-running latency problem with their Intel Puma 6 CPU equipped SuperHub 3.0 router (here). 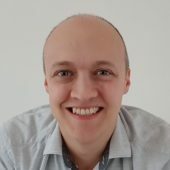 Last month we were informed that the firmware patch was still in a “testing phase“, although it may only resolve part of the issue with DNS lookups (a big chunk of these are lost with the current bug) and the spike will still be present in TCP/UDP, albeit hidden from certain tests (ICMP and Ping testing). We hope this isn’t the case but in the long run the only full solution may be a new router. Furthermore there’s also no mention of when the operator might begin customer trials of their future DOCSIS 3.1 upgrade (even faster speeds). At the last check Virgin Media told us that they had no plans in the immediate term for a trial. In other words, they expect to be able to squeeze a bit more speed out of the current EuroDOCSIS 3.0 standard (we predict they could push it to 500Mbps), before adopting 3.1. Speaking of DOCSIS 3.1 and latency bugs, we have noted that ARRIS’s new TG3442 cable router (the Hub 3.0 used an ARRIS TG2492S/CE) supports the standard and seems like a reasonable bet for any future SuperHub v4 / Hub 4.0 device. At this rate we might see a new router before Virgin Media has fixed the latency problems with their old one, but currently there’s no solid confirmation on what kit will actually be used. Mark, is there an alternative to the Superhub 3 modem, or are we stuck until Virgin either release a bug fix or, as you note, a new modem? The latency is truly appalling.